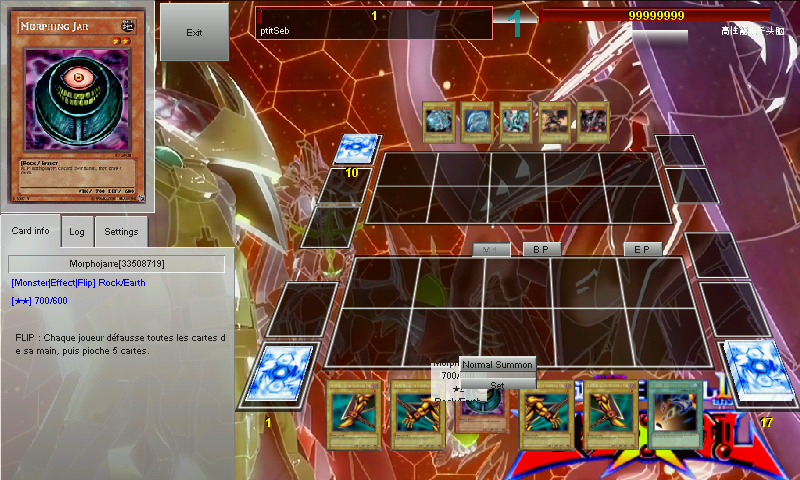 YGOPRO is a free online dueling system made for playing Yu-Gi-Oh! duels. 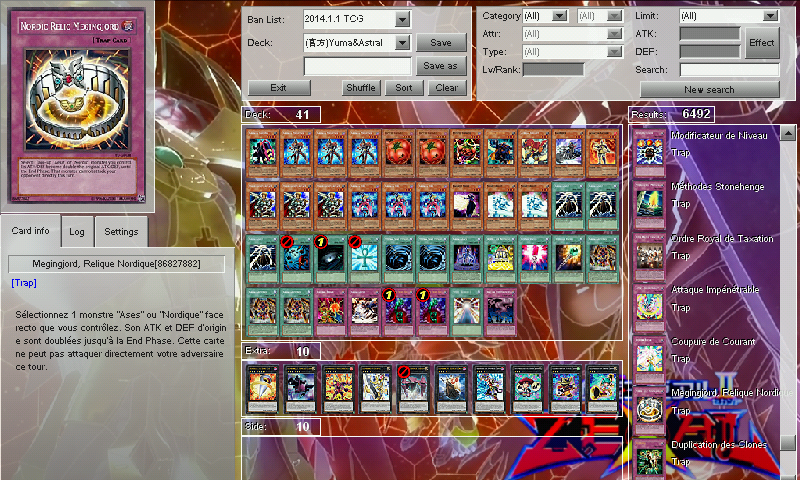 YGOPRO is fully automated. All card effects, life points, counters etc. are handled by the system. * Change MesaGL to OpenGLES-1 Hardware Rendering ! 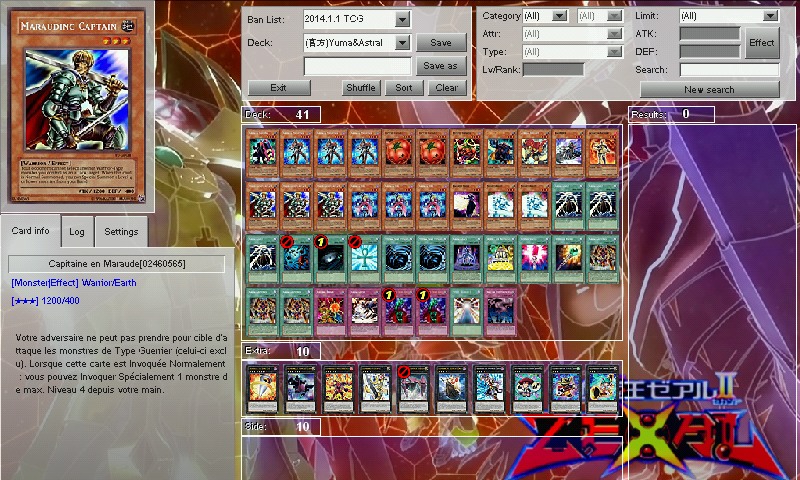 * Corrected a nasty bug with deck manager when card name was longer the 32 characters. 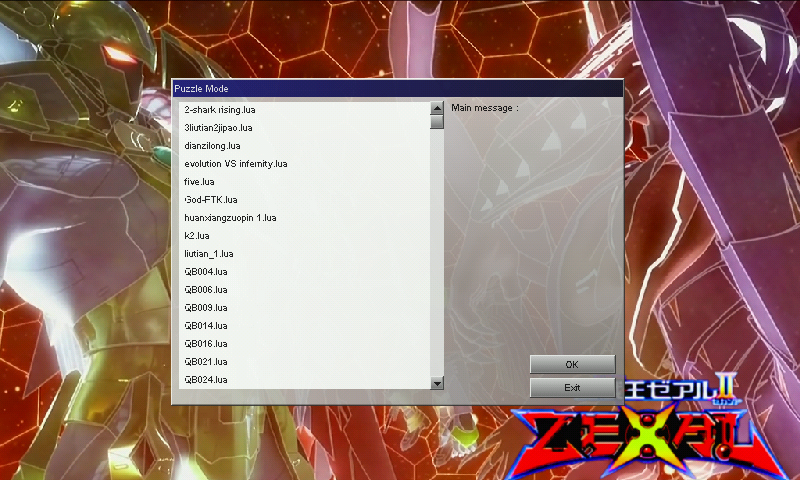 * Compatible with "X11 redirecting"
You can use the Software renderer also (put d3d = 1 in config in the appdata folder). It's a bit slower (and uglyier) but it doesn't flicker. For A.I., I can't do it myself (still don't know the rules), but you can try the "Puzzle" for some single player challenge. I tried some experiment to remove flickers on Gigahertz Pandora, but with no success for now.